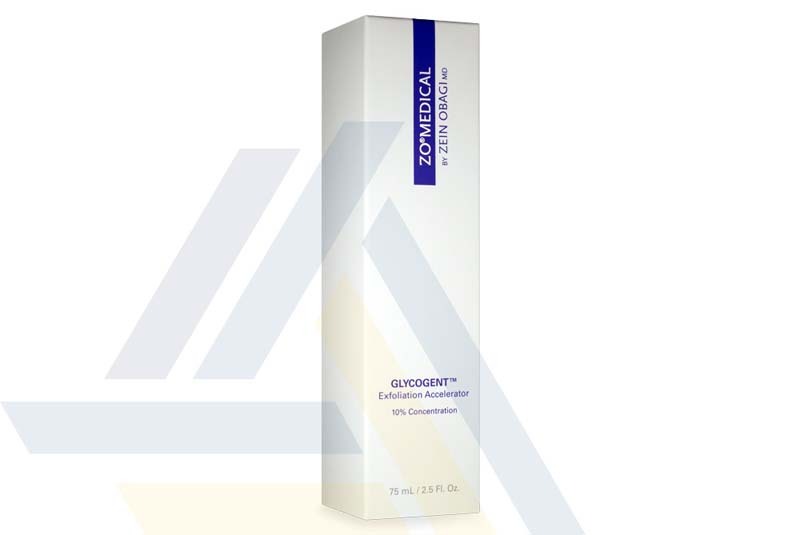 Order ZO Glycogent Exfoliation Accelerator from Ace Medical Wholesale. 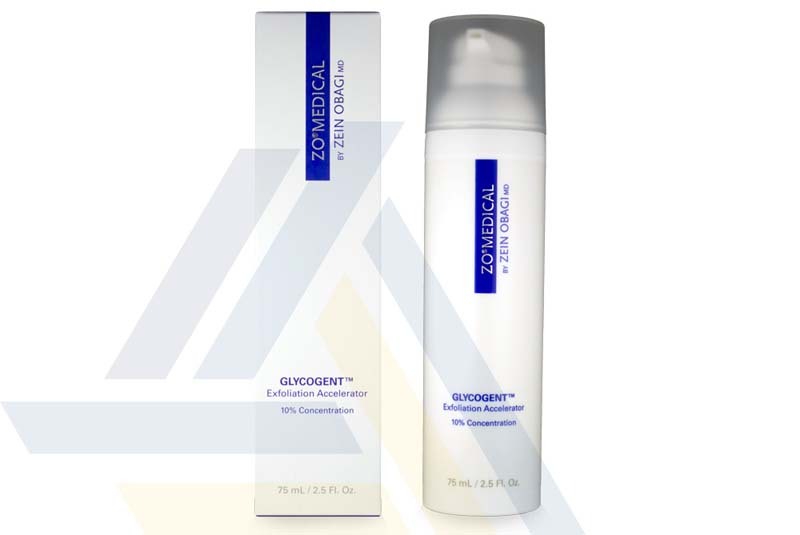 ZO Glycogent Exfoliation Accelerator is a chemical exfoliant that was developed by Dr. Zein Obagi, an experienced skin specialist. This exfoliating solution is made of a 10% glycolic and lactic acid complex. Glycolic acid, with its small molecular size, is able to penetrate into the skin easily and exfoliate the superficial layer of dead cells. As for lactic acid, it helps to loosen the bonds between the skin cells on the uppermost layer so that they can be sloughed away. As a result of these substances’ exfoliating properties, new and healthy dermal cells are produced, making skin appear reinvigorated. 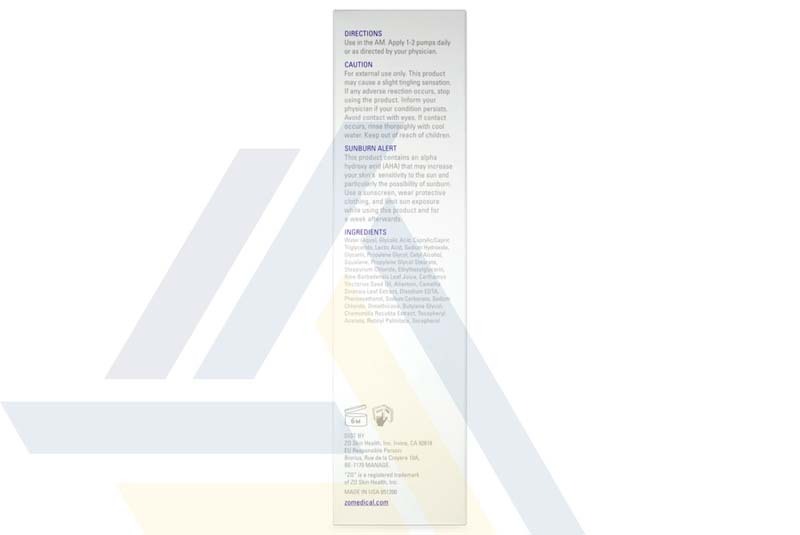 This product contains Vitamin A and E, which are efficacious antioxidants that prevent future damage to the skin, and has advanced anti-irritant and moisturizing abilities that sooth and heal damaged skin. Patients are recommended to massage one to two pumps of this exfoliating agent on a cleaned face every morning. This product is packaged in a 75ml bottle with a pump dispenser.